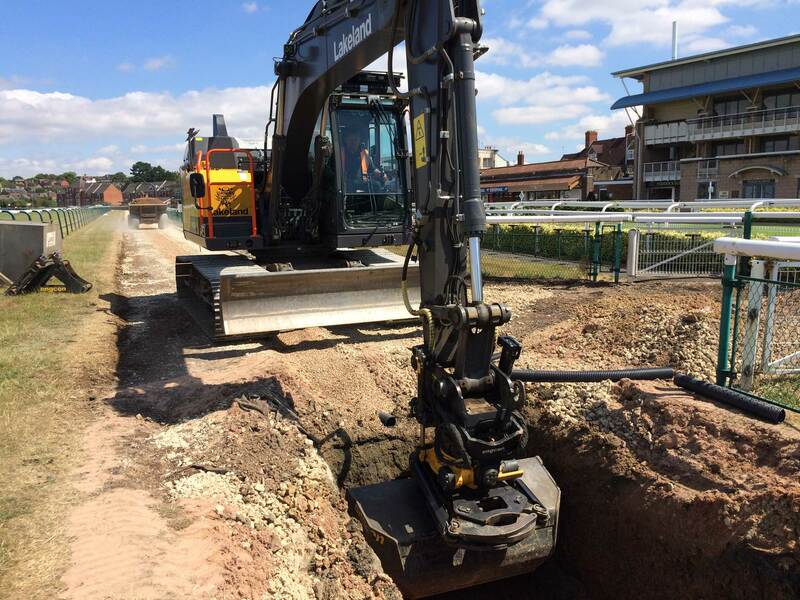 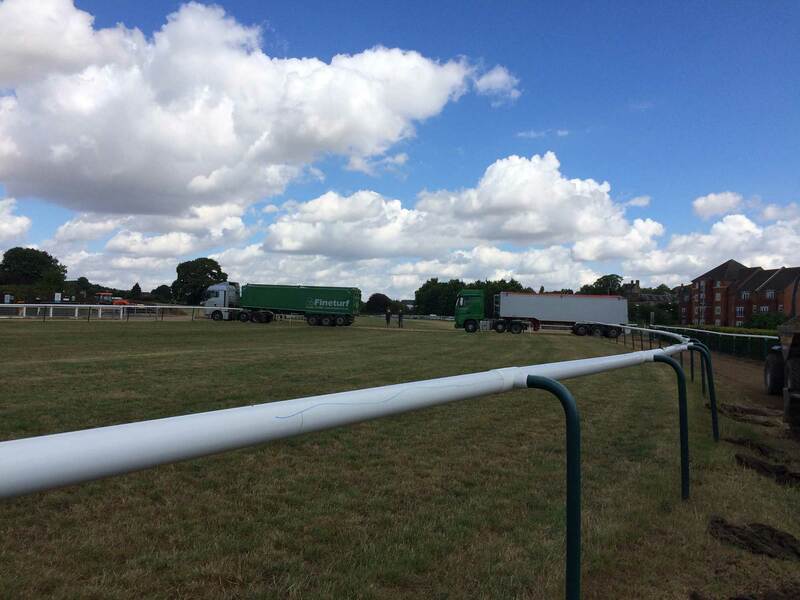 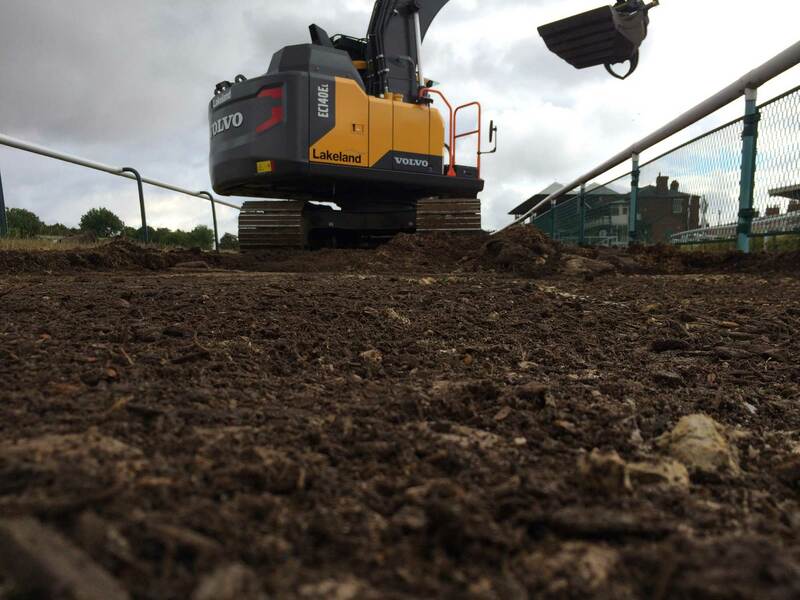 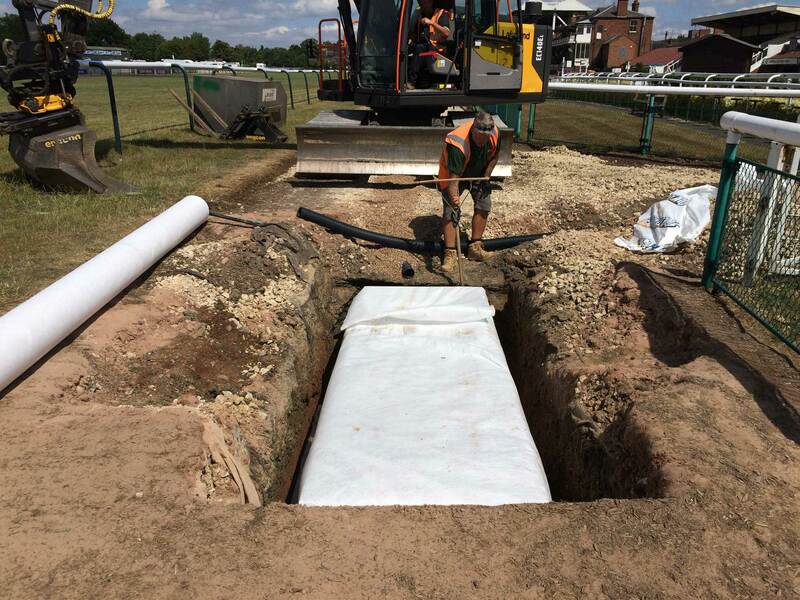 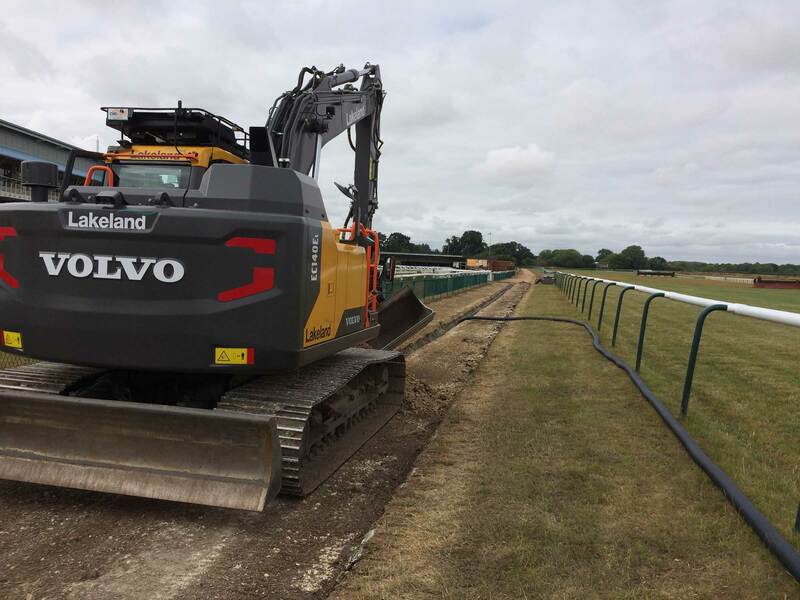 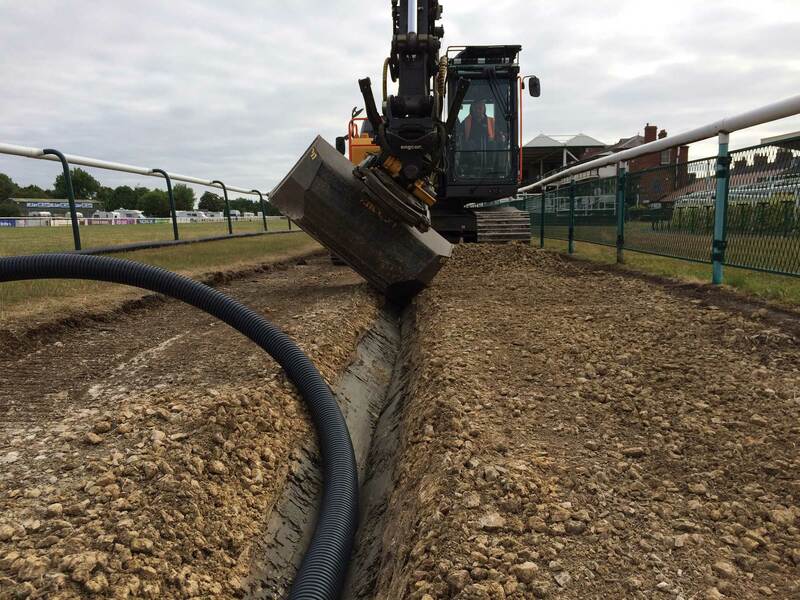 In 2016 we began renovating the Cantour Down at Warwick Racecourse and in July 2018 we returned to complete the project. 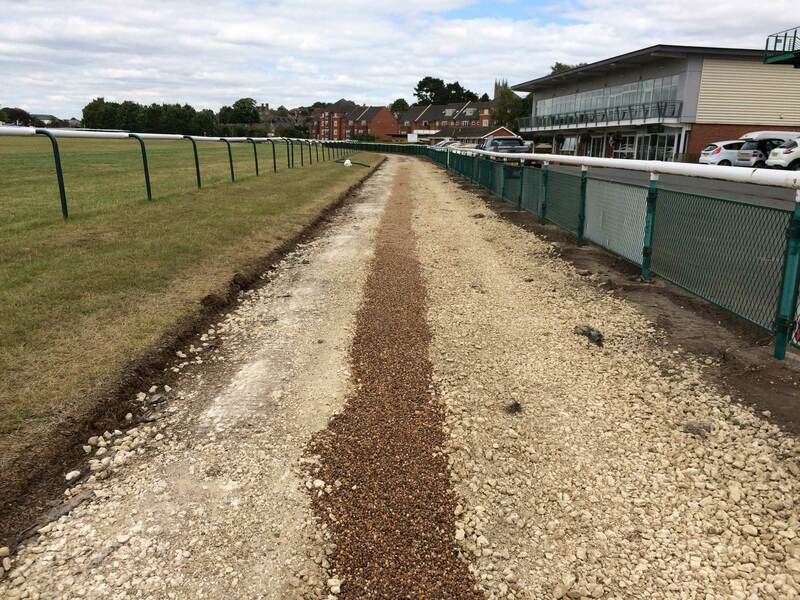 We scraped away the rotting wood chip surface down to clean stone. 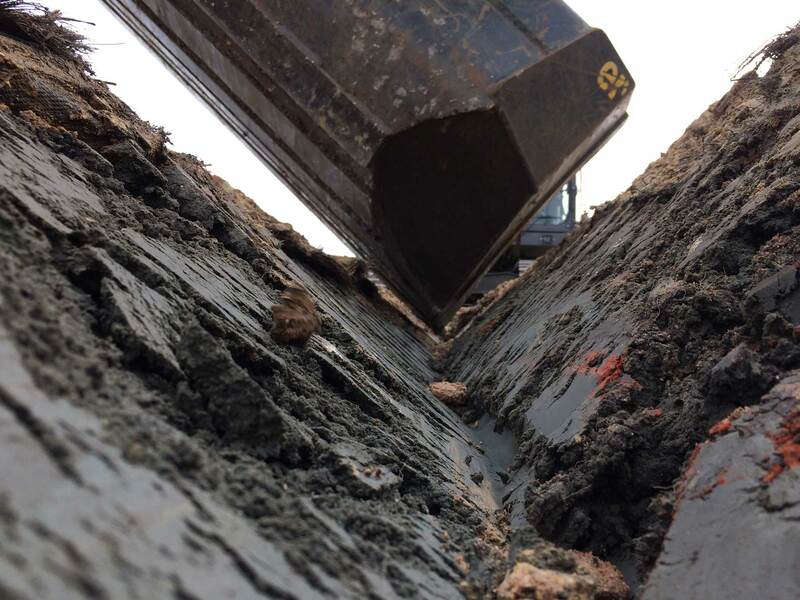 Additional stone was imported, as required, to ensure a level formation. 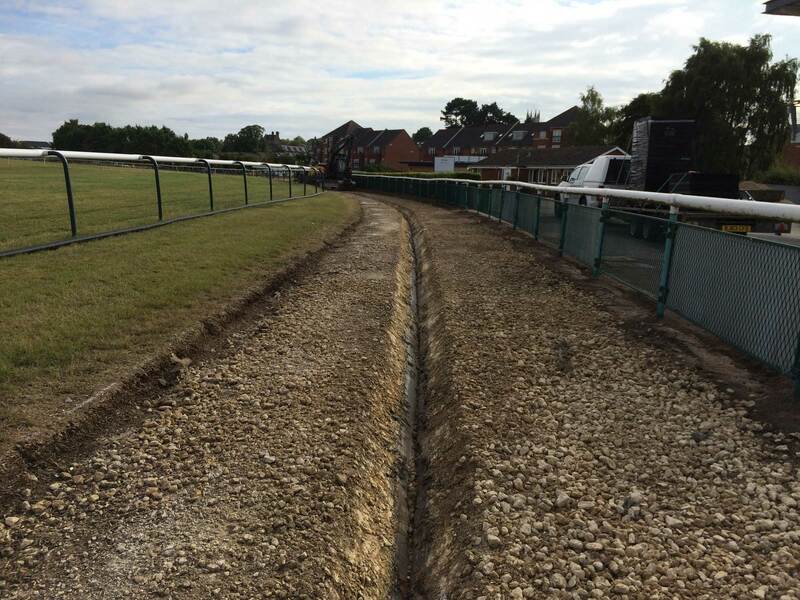 A v-shaped trench was cut into the centre of the walkway and drainage pipe installed. 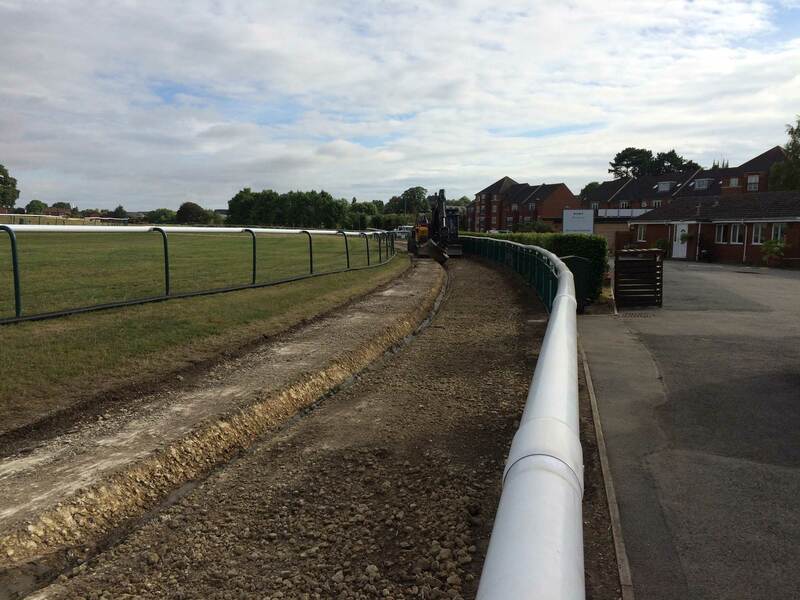 The surface was finished with a 150mm layer of fibre sand. 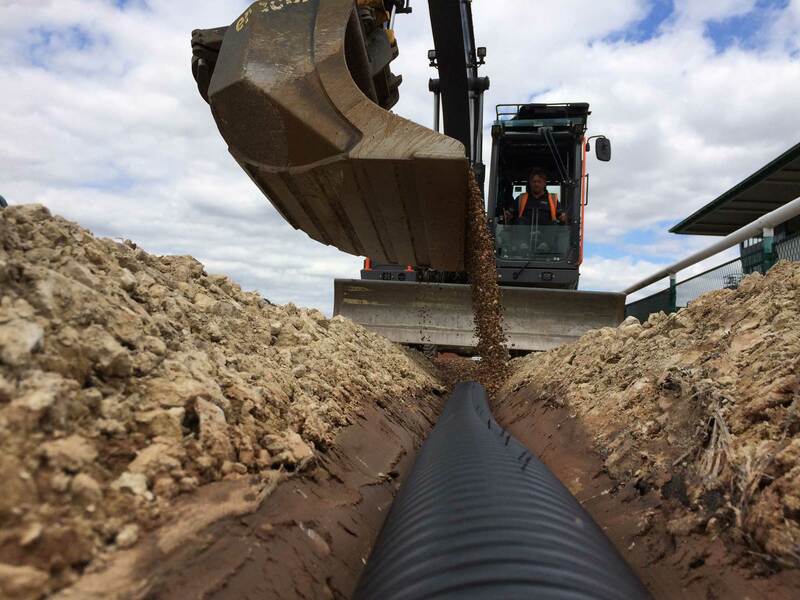 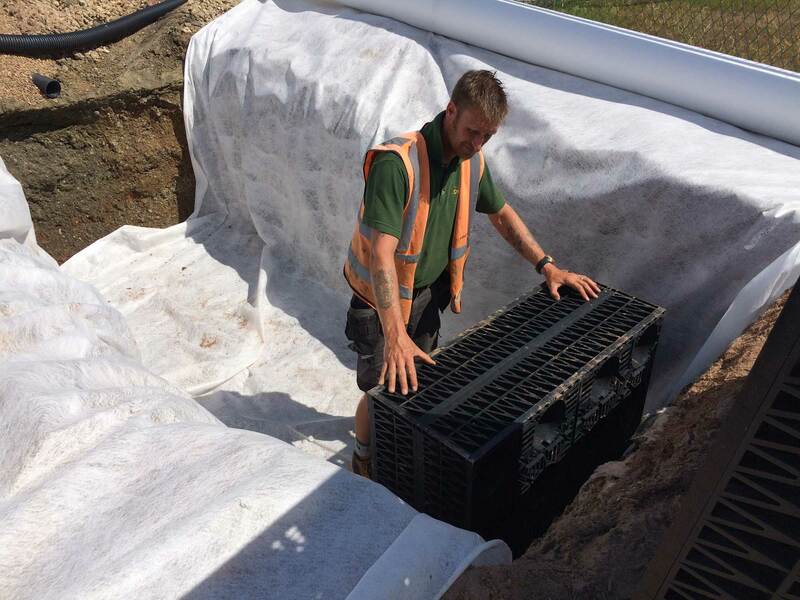 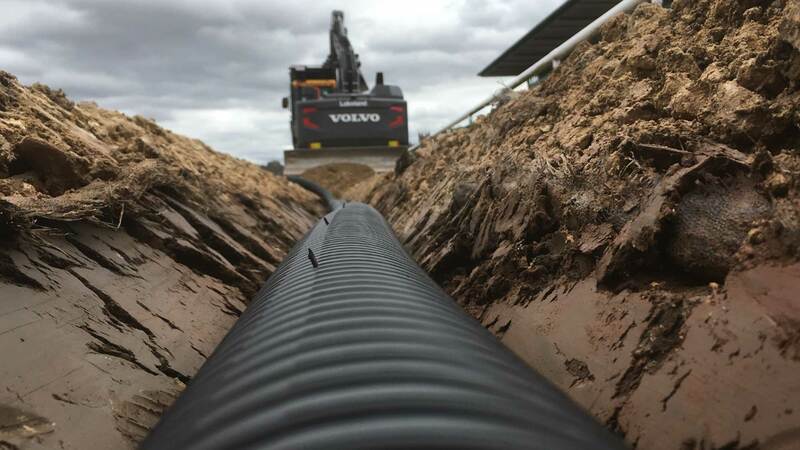 We excavated a soakaway, installed attenuation cells and connected the drain. 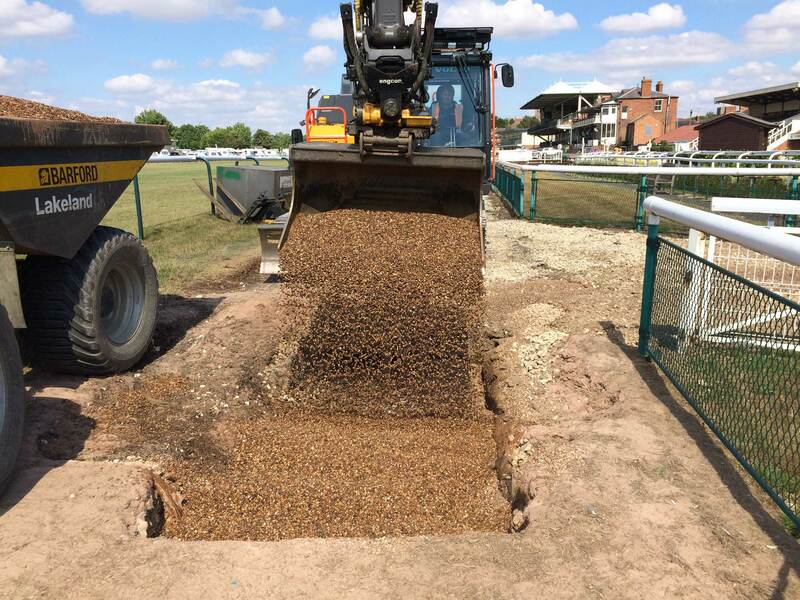 The soakaway was backfilled with gravel.